I will speak, therefore, of a letter. Of the first letter, if the alphabet, and most of the speculations whig have ventured into it, are to be believed. I will speak of the letter a, this initial letter which it apparently has been necessary to insinuate, here and there, into the writing of the word difference; and to do so in the course of a writing on writing, and also of a writing within writhing, whose different trajectories thereby find themselves, at certain very determined points, intersecting with a kind of gross spelling mistake, a lapse in the discipline and law which regulate writing and keep it seemly. This remarkable beginning sets out the philosopher’s entire enterprise, his desire to write about the writing of philosophy and to examine philosophy as writing. 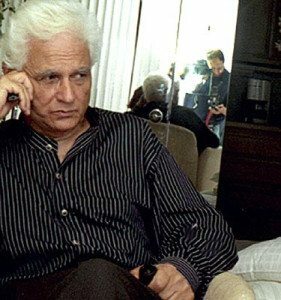 Derrida also had the gift of seizing on detail and spinning out his observations into thoughts and thoughts into positions. This essay, given first as a talk at the Socieété française de philosophie in January of 1968, was published in the summer of the same year in Théorie d’ensemble, a Tel Quel enterprise. The late sixties and early seventies were marked by a series of career-making articles in which Derrida systematically and laboriously re-read and reinterpreted European philosophy. Delivered a year after his interrogation of Claude Lévi-Strauss in “Structure, Sign and Play in the Discourse of Human Sciences,” Différance marks his precise engagement with the father of Structuralism, Ferdinand de Saussure (1857-1913) with side forays into the philosophy of Hegel and Heidegger and Nietzche and even Freud. 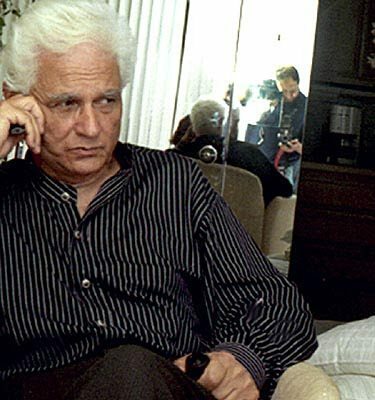 The bulk of Derrida’s writing is about language, his entry point into philosophy. He regarded the anthropologist, Claude Lévi-Strauss (1908-2009) as being mistaken in his attitude towards writing and accused him of being both logocentric and ethnocentric for his naïve theme of “lost innocence.” The Biblical notion of the Fall is a frequent one in the studies of Lévi-Strauss as if “primitive” people were long lost Adams and Eves being driven from the Garden by the acquisition of writing, the fruit of all culture. For Lévi-Strauss, writing was an instrument of oppression, colonizing the “primitive” mind (nature) with culture,and for him structuralism for was nothing less than a search for the universal structures of human intelligence. This structure is a set of unconscious rules that both structures a culture and expresses the infrastructure of speech (and writing) through a language system. Lévi-Strauss’s Mythologies (1964-1971) consisted of four volumes, containing eight hundred myths, which showed “how myths operate in the minds of a culture without the people being aware of the fact..” In a proposition that would impact a new generation of French thinkers, Lévi-Strauss suggested that the unconscious precedes, comes before, the thinking subject and provides order for human subjectivity through its imposed structures upon human thought. In considering how human beings develop ideas or discourses, Lévi-Strauss imagined or proposed the creation of culture through a cultural character inspired by his own father, a bricoleur, a handy person, an engineer, a fabricator, who used everything at hand to create structures–myths, stories, accounts–to explain events. Notice that Lévi-Strauss is thinking of language and not actual making of an object but of a process of how a discourse is constructed through found words, already-ready concepts that are reshaped linguistically within the logic of the structure. Although the bricoleur is a hunter-gatherer of cultural ideas, one should not confuse the hunting activity with an allegorical assemblage with multiple parts. Lévi-Strauss always considered the structure of culture as bi-polar, that is, one element had to be off set and contrasted to its other. Lévi-Strauss based his structural anthropology upon Saussure’s Course in General Linguistics (1913) and considered that this structure of the mind operated in terms of opposition that, he thought, was necessary for any culture in order to make the world comprehensible. His extensive study of myths implied that the bi-polar myth was universal, a rather Kantian operation of a storytelling a priori. These ideas of a hidden unconscious will be taken up by other writers and it is clear that the philosopher attended the famous lectures of Lacan who stated that the unconscious was structured like a language. Like Lévi-Strauss, Lacan was attached to the notion of an “origin” for human consciousness, found in the “split” that creates the social subject. But Derrida parted company with what he considered to be a nostalgic fixation on mythic origins. For Derrida, there is no “pure” authenticity, and, according to this citizen of Algeria, sensitive to magical thinking, this sentimental theme of purity is but a Romantic illusion, yet another example of Western ethnocentrism. Retaining at least the schema, if not the content, of the demand formulated by Saussure, we shall designate by the term différance the movement by which language, or any code, any system of reference in general, becomes “historically” constituted as a fabric of differences. Derrida found “play” or oscillation between terms to be of great importance. In a reversal of Lévi-Strauss, he insisted that writing is a precondition of speech, that not only does writing or the idea of writing exist prior to speech, writing makes speech possible. Writing (écriture) is the name of the structure, which is already inhabited by the “trace.” This notion of the “trace” was a concept borrowed from Sigmund Freud (1856-1939), who wrote in “Note on the Mystic Writing Pad” (1925) that writing was a metaphor for workings of the psyche (or what Lévi-Strauss regarded as the unconscious structure of the mind), which an ever-receptive surface for thought that could retain a permanent trace of experiences (writing). The “surface” of the human mind is the unconscious, once a virgin surface, which retains permanent traces, or memory which can be energized into consciousness and affect the thinking subject. The trace or what Derrida called the “arche-trace” is the formation of writing and of the difference that takes place in the sign. Therefore, writing is the most primordial activity of differentiation, a pre-vocal process that operates to inaugurate language, bestows consciousness and institutes being through speech. Ever fond of reversals, Derrida proposed that writing, a non-being, emerges out of silence, a necessary non-being that precedes being. Of course, “being” is a term indebted to Heidegger, a necessary but metaphysical word that, in Derrida, is always sous rature or under erasure, always crossed out, including all variations of the verb “to be.” Because writing precedes being, then, it must come before language. Consequently, Derrida reversed “the crucial pair” of language, the signifier and the signified into the signified and the signifier. It other words, that which is to be signified (meant, expressed) must precede that a which is the signifier. Logically, this reversal introduces the trace which exists as a force and formation of writing: the trace as an already-there precondition that precedes. “Difference” is the term that Derrida selected to re-formulate the relationship of being and non-being in the context of écriture or writing. “The pure trace itself does not exist,” Derrida said, because the trace institutes the possibility of the sign–precedes the sign, is necessary for the sign. Thus, for Derrida, the sign marks an absent presence, because rather than present the object, we employ the sign whose meaning is always deferred because the thing represented is always absent. To take note of this space of deferral or absence, Derrida created the term “différance,” (mis)spelling the word with an “a” to signify that the “différance” that could not be heard only seen graphically or in writing. The “a” is silent in speech, and, according to Derrida, silent like a tomb. “Tomb” (oikēsis) in Greek is linked to “house” (oikos)which in turn is linked to “economy” in what he called an “economy of death.” The “a” exists in an intermediary zone, neither speech nor writing, because this letter, this non-sound cannot be represented (spoken/heard) through the senses. That said, différence exists in what Derrida called temporization or suspended in time or temporization and in space, meaning the to express this suspension between the “becoming time of space” and the “becoming space of time.” The “a” compensates, as he said, for the resulting loss of meaning and that this compensation is “economical.” Différence, within the structure of paired opposites, is to differ, to be the other to a term, and therefore the difference is to defer, to delay, to postpone what is an endlessly deferring meaning. Essentially and lawfully, every concept is inscribed to a chain or in a systematic play of differences. Such a play, difference, which is not a concept, is not simply a word, that is, what is generally represented as the calm, present, and self-referential unity of concept and phonic material..The difference of which Saussure speaks is itself, therefore, neither a concept nor a word among others..In a language, in the system of languages, there are only differences. Derrida likened the deferral of difference to the “structure of delay” present in Freudian theory, a delay (Nachträglichkeit), explaining that the concept of the “trace” forbids retention (memory) because its past is always present. Therefore like Being, the trace must be placed sous rature. For Derrida the play of difference made it impossible to separate speech and writing. He argued that because language uses codes (signs) there is always a play of forms which assumes differences which are retained as traces. This play of differences preexist language itself which has no origin. Likewise différance is non-cognitive and has no real presence in itself; its function is to solicit or to shake language. Saussure’s notion of différence as a spatial one–terms are laid out in a system, positioned as opposites and pairs, but Derrida deployed the “a” to make the point that différance is temporal because each sign carries within it the trace of other other. Meaning as a result is always endlessly deferred because there can be no final resting place for the sign which moves along a chain of signifiers. With no possibility of locating a transcendental signifier or point of origin or end, Derrida has deconstructed Saussure’s system of language.